Backyard Story Night "Healing Touch"
Don't let the chilly weather keep you at home this Sunday! We have blankets and a rain plan! Will move the event indoors if necessary. Break out those cozy fall accessories and enjoy free hot chocolate and cider! Join Landmarks, Austin's Backyard Story Night, Dell Medical School, and the Humanities Institute to enjoy an evening of stories centered around the theme Healing Touch. 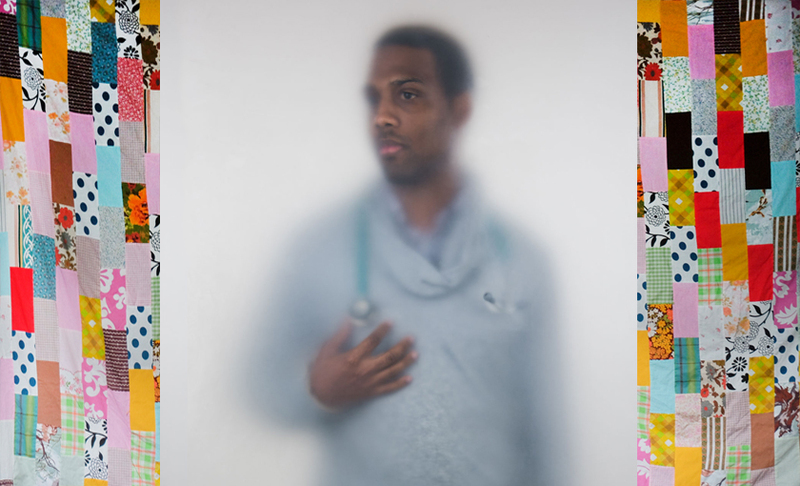 Commissioned for the newly opened Dell Medical School, artist Ann Hamilton created a series of photographs that illustrate touch, something we typically feel rather than see. The project is framed by the idea that human touch is the most essential means of contact and a fundamental expression of physical and emotional care. Hamilton's larger-than-life portraits will serve as a backdrop for the evening of stories. This event celebrates the human exchanges that occur in public art and healthcare, as well as the importance of both in the Austin community. Doors will open at 6pm with tours of the work of art in the Health Discovery Building and Health Transformation Building. Stories will begin at 7 outside of the Health Transformation Building; please dress accordingly. Limited seating is provided but guests are encouraged to bring chairs and blankets; no outside alcoholic drinks permitted. Popcorn, cider, and hot chocolate will be provided; cash bar and café sandwiches available for purchase. Parking is available in the Health Center Garage.